By 1776, indentured servitude had become a widespread and prominent part of English life. By the 1810s, however, indentured servitude was seen by most Americans as inherently at conflict with the “natural rights of man.” Gordon Wood, Empire of Liberty, 346. Some Americans concluded that servitude as a whole was “highly anti-republican.” Id. However, as indentured servitude became less prominent, black slavery took its place. The servants who continued to work were quick to differentiate themselves from the black slaves, often times not admitting that they were servants but instead classifying themselves as merely “help,” who was “staying in the house.” Id. It is plausible to hypothesize that the decline of indentured servitude led to the increase in using slaves. As repulsive and disgusting as it may seem now, early Americans did not view the slaves as individuals, instead classifying them as property. Servants had a different role altogether, sometimes sitting at the table with their “bosses.” Notably, slaves did not use the word “boss,” but instead used the word “master” typically. While this issue gets to a broader piece of American history rife with controversy and hypocrisy, it also reflects perhaps a reason that slavery grew to become such a staple of American life in the decades leading up to the Civil War. With the increase of “human rights” came a decrease in the use of servants in Americans’ lives, which ultimately appears to have led, at least partially, to an increase in the use of slaves. This development in American history is troubling, as it shows the profound misplacement of belief that the early Americans had in what human rights meant. While some were opposed to the idea of slavery altogether in the earliest years of the Republic, many tolerated it, despite also proclaiming to be Republicans concerned with the rights of all humans. Fortunately, as the decades wore on, it became increasingly clear to Americans that human rights inherently must include slaves. 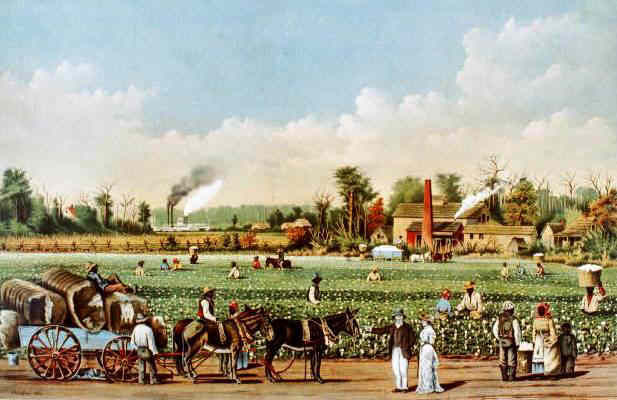 One wonders what would have been had the indentured servants not so readily been replaced by slaves, and if widespread slavery could have been prevented altogether before it came to dominate the Southern economy.